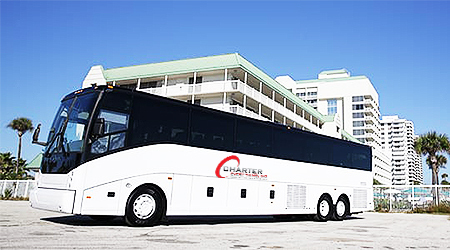 Welcome to Charter Everything Inc. – a full-service charter bus rental company proudly serving the United States for the past 25 years. We look forward to serving all your charter bus rental needs in and around Charleston, Columbia, Mount Pleasant, Rock Hill, Greenville, Summerville, Sumter, Florence, and Myrtle Beach areas of South Carolina. We are acclaimed nationwide for reliable and safe transportation services that exceed our clients’ expectations. As South Carolina continues to grow at a rapid pace, Charter Everything, the premier charter bus service operator, now offers comprehensive group transportation 7 days a week for all leisure & corporate groups. At Charter Everything, we have redefined ground transportation by our continual commitment to deliver exceptional service. We have invested millions of dollars in new technology and point to point GPS tracking systems to streamline the booking and vehicle tracking process for our clients. We offer the newest and best fleet of coaches, minibuses, vans and limousine rentals that is above the industry standards. Each of our charters is safely operated by highly trained and licenced professional CDL drivers. Every passenger, from our elite corporate travelers to professional athletes to families, everyone can enjoy the comfortable, smooth, and unique experience with Charter Everything. We provide an extensive fleet of luxury vehicles that include 56 passenger deluxe motor coaches, 24 passenger executive minibuses, 30 passenger party buses, 40 passenger school buses, 12 passenger sprinter vans, and 8-10 passenger limousine rentals in South Carolina. Safety Begins at Charter Everything! At Charter Everything, safety is our foremost priority. When it comes to security and protection of our passengers, we have a continuous commitment to raise the bar. We have the most skillful and experienced chauffeurs & technicians in the industry who undergo strict background screening. We only select local drivers who have vast experience, backed by safety training that adheres to FMCSA, DOD, TSA, DOT, and state regulations in SC. Their instincts are reinforced by on-road experience to master unexpected traffic and unpredictable weather conditions to get you to your destination safely, comfortably, and on time. Our private motor coach rentals in SC are powered by advanced virtual engine diagnostics and GPS technology that plays a vital role in helping us achieve an outstanding safety record. All the vehicles we offer undergo regular, personalized maintenance to guarantee your safety on the roads. Before a vehicle hits the road, professional technicians will look into every detail to ensure your highest standards of safety while traveling. Right from your engagement party all the way to your grand wedding day, Charter Everything will be there to streamline your group transportation needs. We offer personal shuttle service for your wedding party and guests, and also provide airport shuttles & hotel pick-up to your out-of-the-town visitors. Over the past 25 years, we have worked with numerous groups in South Carolina to arrange reliable transportation for bachelor & bachelorette parties, engagement, bridal showers and your special wedding day. Treat your wedding guests with luxury transportation shuttle service, and make them ride in style with our deluxe charter buses or executive minibuses at Charter Everything Inc. You’re guest will travel in sheer comfort with modern amenities like reclining leather seats, flat screen television, air conditioning, Wi-Fi, and more. Ask our staff for more information. We are experts in arranging top notch group transportation for business meetings, conferences, company tours, trade shows, and more. Whether you have a group of 10 or 10,000, we can provide ground transportation to and from local airports & hotels to the event with our extensive fleet of luxury vehicles. With a large selection of charter buses to choose from, and a network of over 5000 partners across the United States with modern amenities, and 24/7 dispatch and customer support, we will get you and your team wherever they need to be. For any business, professionalism and punctuality is key. We understand this, and likewise, offer customized charter bus packages that lets you travel in comfort, be on time, and stay productive with traveling. With plush amenities like reclining seats, microphone systems, plasma television, DVD players, and others, we ensure a pleasant ride like never before. Our on-board Wi-Fi and power outlets will help you stay connected, and work on the go. Planning an offshore corporate event takes a lot of planning and hard work. Delightfully, we are here to make this task easier. 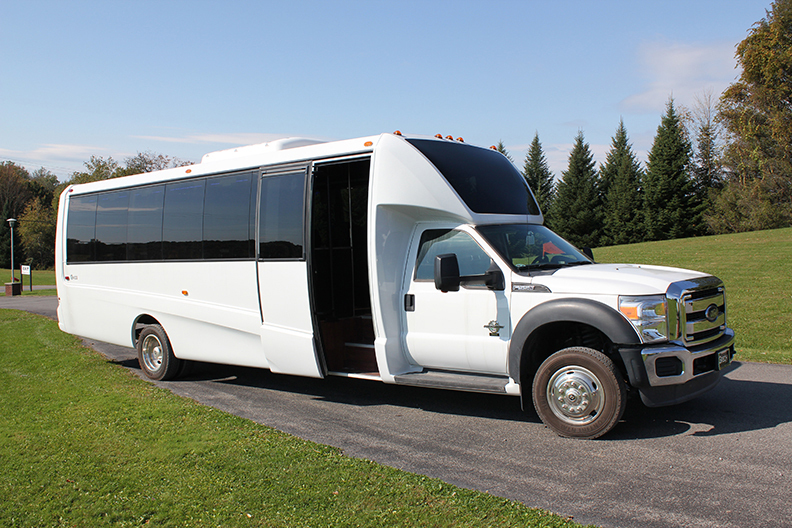 We will take care of the hassle of organizing group transportation so that you can completely focus on the event. Organizing a Family Reunions with a Luxury Charter Bus in South Carolina? Are you planning a grand family reunion in South Carolina with a group? 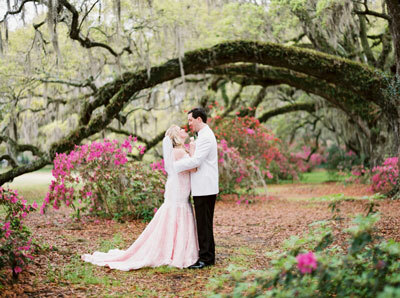 Give it an enchanting twist with exotic sightseeing tour of the beautiful state of SC. Don’t have a ride? Trust Charter Everything for safe, reliable and comfortable charter bus tours in and around town. Whether your family is gathering locally for a picnic, or traveling a long distance to enjoy a fun-filled trip of South Carolina’s tourist attractions, we can take care of all your logistics without you having to worry about weather, traffic, parking and other hassles. 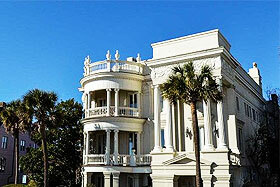 South Carolina is a delightful mix of splendid natural beaches, intriguing history, and interesting outdoor activities. 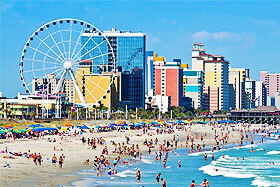 Visit the famous Myrtle Beach to enjoy golf, water parks and vibrant stage performances. Take a pleasant carriage ride amidst the beautiful streets of Charleston, or indulge in quiet trails and breathtaking views of Caesars Head State Park. 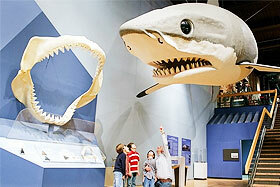 Take the kids to the planetarium or visit the local zoos for a fun moment. Whatever you pick, you are sure to enjoy and have a great time with your family riding our luxury charter bus. For your next big event, family trip, or corporate tour, count on us for the most reliable, comfortable and dedicated ground transportation services.